The most common challenge I see young businesses face is the lack of an understanding of where their product fits in the marketplace. We are such an instant gratification society that we have an idea for a company and we quickly build a web site, grab some social media handles and 1-2-3 LAUNCH! That’s not how it works. That’s not how any of this works as a recent commercial reminds us. There is definitely a growing constituency that says, follow your passion and the money will follow. I wish it were that easy. The problem is that passion alone can often lack direction. It can be flighty and it will easily lead you astray when you quickly find yourself trying to be all things all people. I recently wrapped up a client who really understood this. He contacted me after purchasing a building in a mid-size southern city. He had a very clear vision (passion) for the business he wanted to put into the space and he asked me to conduct a detailed analysis that would help him determine if putting a gym in the building would be successful. Here are the steps I followed — you will likely notice some inherent overlap. Assess the Market – The foundation of the feasibility study needed to demonstrate a knowledge and understanding of the demographics of the downtown. There were multiple buildings being converted into apartments and condominiums which likely would result in an influx of people looking to live-work downtown. Presumably the residents will be young, single and relatively affluent. I needed to confirm that. Gauge the Profitability — My client’s initial goal was to open a gym. As a consultant my start up costs were essentially an LLC license, an unlimited data plan for my phone and a new laptop. Pretty minimal to get started.The startup costs for a gym shocked me. (The number of them that failed was also quite suprising.) So much upfront investment becomes very hard to overcome in a quick amount of time. My client planned a full remodel regardless of the type of business that went in, but in order to have a good gym you needed newer, well-maintained equipment which was expensive. Multiple shifts must to be hired, trained and staffed because gyms need to be open very early in the morning, stay open until late in the evening and are open on weekends: far beyond a typical 8 hour day.I created a profitability model for the feasibility study — how many members did need to make a profit? It might be easy to get 30-40 members but what if I needed 75 to break even? What if it was 175? Scope the Competition — How many other solutions are already there? There are always options for your customers, including doing nothing. Do your research on who is competing for your customer’ attention. You should consider complimentary and competing products as well. Maybe a there is already a gym on the block so maybe the recommendation is to open a coffee or juice bar? Plan your Partnerships — I’m in a couple different social media groups where I often see small business owners ask the hive mind “how do I find customers.” When I see questions like that I tend to believe that this is a young solopreneur. She is likely a year or two into her business, has likely been running on adrenaline in development/launch mode. She has likely racked up at least a couple thousand dollars in debt and isn’t paying her self a dime because there isn’t enough money coming in yet. Maybe the launch a success, but then her site traffic dwindled and, even worse, social media player changes the rules making it harder for customers to find the product they once loved.Now our new small business has no long term solution for finding customer. They may not even know who their customers even are. (I wrote a blog in 2016 that talks about how to value your customer. Along those lines BE REALISTIC — not everyone is going to get onto Shark Tank or get included in the Self Magazine annual beauty section. And if you do — it should be the icing on the cake not the bread and butter. Who You Are. Who You are Not. A well-rounded feasibility study sets the stage for you to create a branding plan. It’s easy to get distracted every time the phone rings with an opportunity. They all sound so good. Generally, there are going to be sales people trying to pitch marketing tools that are guaranteed to work (until you try to cash in on the guarantee). There are going to be other entrepreneurs who try to collaborate with you (or rather take advantage of you.) Having a clear document can remind you of your vision and give you a much needed “out” when you have to say no. In the end my client did not launch a gym. Instead, we launched a co-working space called THE OFFICE HUB. It is in Shreveport, LA, and believe me when I say that it is beautiful. I’d love to tell you that it’s a raging success. Bottom line is that it’s been open a week, so we have yet to know how successful it will be. However, we are confident that because of our feasibility study we are on a solid foundation. Thanks to the study, we were able to learn about all the fabulous things happening in downtown Shreveport. And that a space like ours will ultimately be a valuable addition. Some primary and secondary research helped us find and connect with the Downtown Development Authority, (@CoolDowntown). The DDA then helped us connect with every local television stations! They all came to our grand opening and did on camera interviews with our Executive Director. 100 or so of the Shreveport movers and shakers were also there for the Chamber of Commerce ribbon cutting! We created a business that Shreveport is hungry for — and we knew it thanks to the investment in the research. So if you’re considering launching a small business (or have recently done so) take some time and find a partner, preferably one who is independent and objective, to put together a feasibility study. From the inside out: How do you truly create a market-driven company? One of the most common goals I hear from would-be clients, is their desire to be more “market-driven.” As with most topics you can spend a lot of time and money to completely over-engineer this into a task so big and daunting that it becomes impossible to implement. I’m sure there are complicated models you can use to prove to yourself, or your investors, that you’re successfully adopting some highly-tested principles. There are consultants who will charge you way more than I would — gotta pay for all that overthinking I guess. I think a much more efficient approach is to find a few tricks that help good companies be great companies. 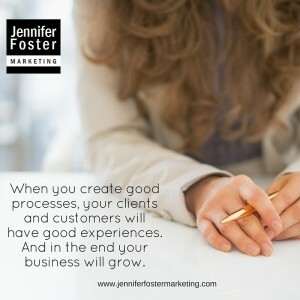 When you create good processes, your clients and customers will have good experiences, and in the end, your business will grow. So let’s talk about a few of those things that can get you going in the right direction! Customer Service Team: Make your customer-facing employees into your best information gatherers. Whether you’re a small business with a single appointment setter or a large healthcare company with teams of dedicated customer representatives, these people interface with your customers every day. Your CSRs know what makes customers happy, and they for sure hear about what you do that drives them crazy. CSRs also know what they wish a product or service could do. Create a way for them to feed that information into the decision makers. 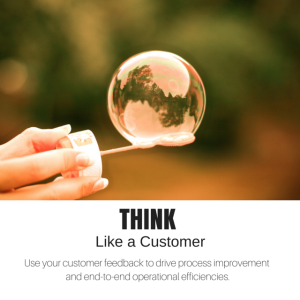 In a small business that may just be getting the info back to you, in a larger, more complicated organization, it may require a process to synthesize and prioritize the feedback. Either way, this is FREE market research if you can harness it. Product Development: We love our products. We think they are great. We know their weaknesses. Or do we? Your product development pipeline likely includes a host of enhancements that you either can’t afford or don’t have time for. That’s the nature of product development. However, before you launch your next product enhancement, your development leaders should also be asking your marketing teams about competitive information. What are your competitors doing that you aren’t? That doesn’t mean you chase everything they do, but it may warrant some critical understanding of your longer term priorities. Finances. Everyone’s favorite topic: the money. Being a market-driven company, your finance leaders should understand the value, cost, COGS and markup on your products. One of my recent clients is currently running over budget on their print costs. Makes sense that their money guys and gals are all up in their potato chips about over-spending, right? The reality is they are over budget because the company has far exceeded their membership numbers. They’re sending more enrollment kits than they ever planned to, but that’s because they’re killing it on their enrollments. So while the budget is soaring, so is the income, and therefore the ROI should be strong. Your finance folks need to understand more than the budget’s bottom line. Sales. Your sales team is not automatically market savvy. It’s no secret that combining your sales and marketing is a recipe for disaster in my book. Generally, if you do it, you will end up with a “sales” and “sales support” team, not a marketing team. With that agreement under our virtual belts, hopefully, you’ll follow me when I say that that your sales team needs to intimately know your top competitor products. That’s a great first step. But how well versed are they on the consequence of doing nothing? Do your sales leads understand the industry well enough to know what the cost of saving the money your product costs? If not, they’re not fully market-driven — they should understand the market they’re operating in. Your marketing peeps. What do you mean all marketing people are not market-driven? No. They are not. Not even most marketing professionals are market-driven — because they don’t measure things. They likely have no idea if their activities are successful at influencing your target market or not. Marketing leaders must work cross-functionally to help their colleagues know better and perform better. Do they get to boss people around? Yes. I mean no. I’m kidding. Sorta. Marketing-driven doesn’t mean that marketing drives everything. It means that as market research and best practices become available it is shared, discussed and assessed. Tell me some of your successes (or struggles) with being market-driven? Anytime anyone asks me about the biggest risk associated with his or her corporate marketing plan, I always tell them that most vulnerability comes from within the market research. It’s either faulty, missing, or disregarded each of these can yield a very frustrating situation. There are several key ways to gain market research data but the most basic is via customer satisfaction . Several months ago, I added a meme to my Facebook business page that read: Your most unhappy customer is your greatest source of learning. And I genuinely believe this is true. So much so that when I sit down with you as a client I generally tend to focus my questions and my curiosity on your least satisfied customers. Even if the number of dissatisfied customers is relatively low, looking for trends in them can help you understand where to focus your process or product improvements. 1. Primary Research Customer satisfaction surveys are a very easy ways to quickly get to metrics because they generally are done on a numerical scale they easily convert to averages and trends. You can also apply weighting to the questions because it may be more important that a customer is satisfied with her product’s installation process than she was with the advertising. An experienced market researcher can help make sure your surveys are worded in a way that doesn’t steer or create bias within your survey. Surveys should also include potential customers when you were unable to convert a sale. 2. Listen to your customers Chances are your customers are talking to you about your products and services. Listen to them and dig into their concerns or observations. It’s easy to try to jump to resolution, but understanding how a customer didn’t get their membership card or didn’t understand the invoicing process can help you begin to identify a trend that may need larger attention. You may have to talk to your customer service representatives to get this level of information. 3. Secondary research There is probably a company out there that you can learn from — for free. Research white papers and articles about your industry and some of the customer satisfaction measures out there. Marketing and consulting agencies love to publish their success stories. They’re generally available online and easily can be extracted to your specific situations. 1. Reduce inbound calls. If you see trends in your research about why your customers are making (expensive) inbound calls, after receiving a monthly statement like an explanation of benefits, it may be an indicator that your communication materials aren’t clear. It could also be that they are in appropriately timed. So not only are you paying printing and postage to mail a piece to a member but then you’re causing them to make a call in to a representative. 2. Improve your personas. Using market research will automatically help you understand your customer better. You’ll know if they look for your products at certain places, or that if, you rely on distributors, how they feel about those partners. For example, in the Medicare space a member can actually open a grievance with a plan based on a retail pharmacies cleanliness. This obviously isn’t anything a health plan can control, other than their overall relationship with the distributor. 3. Product Development. This is where you’ll get the most bang for your market research dollar. When it comes time to upgrade your product or introduce complementary products, you’ll know exactly what your best customer are looking for. This should save you time to market. Market research can seem daunting and cumbersome but it doesn’t have to be, there are easy ways to constantly listen to your customers and use their feedback to drive process improvements throughout your company.